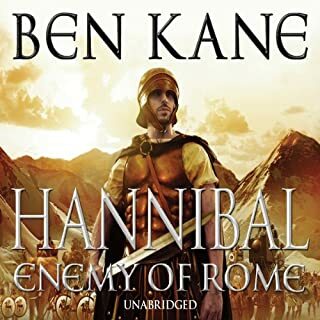 After 16 years of bloody war against Rome, Hannibal Barca is on the verge of defeat. 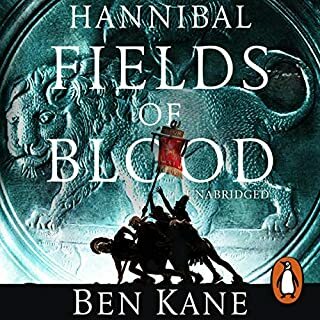 On the plains of Zama, Felix and his brother Antonius stand in the formidable Roman legions, ready to deliver the decisive blow. Victory will establish Rome as the preeminent power in the ancient world. But in northern Greece, Philip V of Macedon is determined to restore Alexander the Great's kingdom to its former glory. Charismatic leader, ruthless general, he will use the unforgiving might of his phalanx to unite Greece and to fend off Rome's grasping fingers. In Rome, young senator Flamininus is set on becoming one of the Republic's greatest military commanders. With Hannibal on the verge of defeat, the as-yet-unconquered Macedon and Greece are ripe for conquest. Strategist and spymaster, politician and general, Flamininus will stop at nothing to bring Philip V to heel. Demetrios slumps on the rowing bench of his Macedonian ship. Thirsty, hungry, burnt by the unforgiving Mediterranean sun, dreams are his only sustenance. Dreams of the perfect thrust of a 15-foot sarissa spear, of the unyielding phalanx wall, of the glory of Macedon. The Roman wolf has tasted blood, and it wants more. But the sun of Macedon will not set without a final blaze of glory. 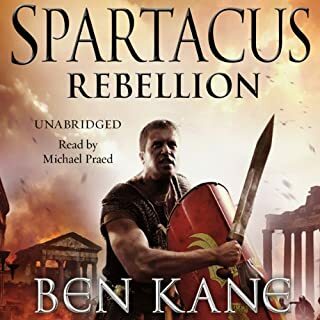 I had never listened to a historical book before, nor heard of the author Ben Kane. 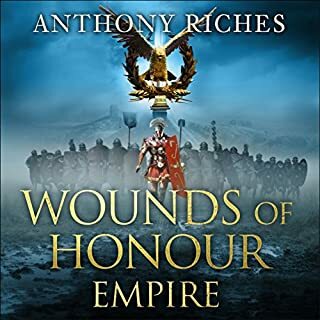 I stumbled upon Clash of Empires as a result of my search for more books narrated by Steven Pacey. 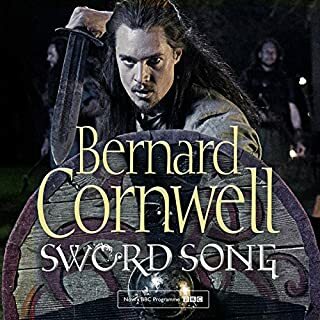 I loved his performance in the First Law series, and wanted to hear more. 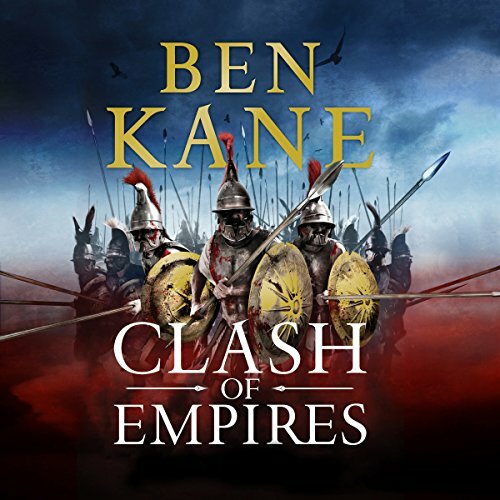 Clash of Empires turned out to be an incredibly written, dynamic, and enthralling book. The different character perspectives were great; I can’t wait to read more by Ben Kane. 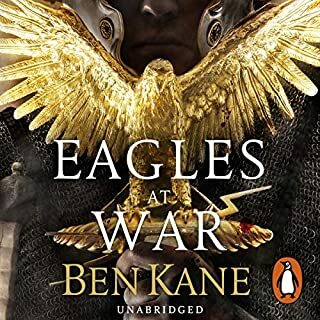 I’ve come to thoroughly enjoy all of Ben Kane’s books. Every time I see he has put out a new one I immediately read it. I haven’t been disappointed yet. This was a great story here and I look forward to the second part coming out in May I believe. 10 out of 10 for me. 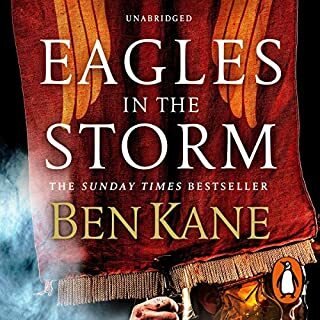 After reading the Eagle series I was looking forward to Clash of Empires. At first lush I was unhappy with the change of reader. However, spacey did a great job. 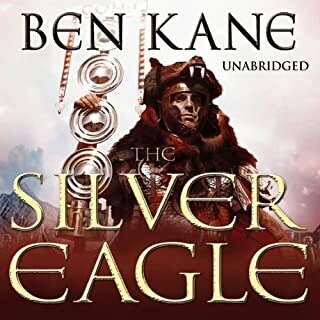 I’m enjoying this historical history genre and Ben Kane dose this very well. Great believable characters you just want to gobble it up and I have. 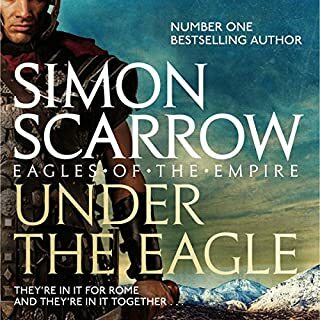 The Eagle series was worth a second lister as is this book. Well done Ben 16+ hours of entertainment well worth the credit or the price. 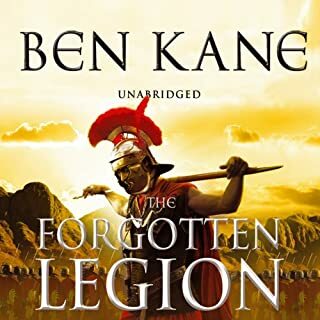 This was my first time with a Ben Kane novel and I guarantee it won't be my last! This looks set to be a series that will be genuinely epic in nature and scope. The multiple viewpoints cover life at both the top and bottom of both sides in this clash of Ancient powers. 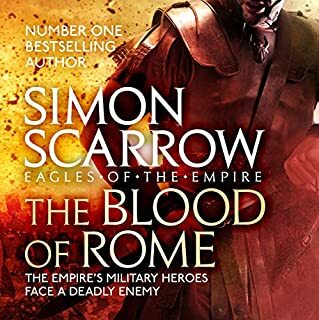 A steadfast king faces off against a hugely ambitious Roman politician with both desperate to win at all costs. 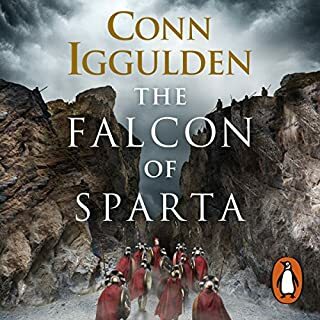 At the other end of the scale a Macedonian rower dreams of becoming a spearman while two Roman brothers spend most of their time merely trying to survive. Kane imbues each with their own feelings, hopes and dreams. He puts them all to the test and brings us victory and defeat alike. There are great action scenes including pitched battles, skirmishes and even drunken brawls. In reality it is four separate stories being woven into a much broader overall tapestry. There is a fair amount of thoroughly researched detail concerning the military organisation and tactics of the Macedonians as well as the overall period. The narration is by the excellent Steven Pacey, the material is possibly not as perfectly suited to him as some of the other books I've heard him doing but being the master he is he delivers it superbly. Just one point to mention, during the foreword it's strongly recommended that the listener consult a pdf that should have been included. It is said to contain maps that help understand the geography of the story with the nations being so different to what we know today. I contacted the author and he said he was unaware of the issue but he would ask the publisher about it. I also asked Audible who also said that the publisher hadn't provided it. It didn't feel like it spoiled the story for me but I do hope they add it to the package. In the meantime I did find what seemed like serviceable maps online to give me at least a broad overview. That nit aside this is an excellent start to this series. As it's my first from the author I can't compare it to what he has done before but to me this flew by like a Javelin from a Roman legionary. Sometimes I find there is a certain amount of drag in multiple viewpoint stories but Kane has made each of his lead characters very human and compelling, albeit it in very different ways. Bring on Book 2! Brilliant story, characters of depth and expertly narrated. I didn’t want it to end! 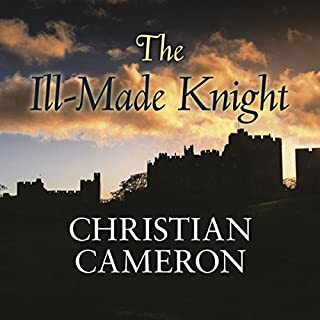 Fantastic story, plots and sub plots and full of real characters. Steven Pacey brought it all to life with his expert narration and characters, one of the best narrators for me. Can’t wait until May 2018 for the second book. Thank you. 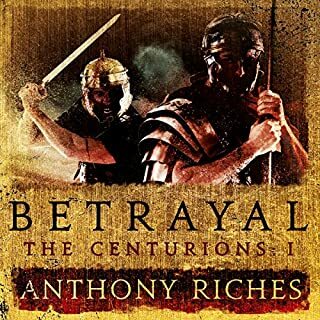 Great story from both Greek and Roman perspectives as the two sides are drawn to war. Quality of reading is great with good flow and doesn't feel slow in comparison to reading yourself. Great characters both written and spoken in different voices which helps the characters come to life in one's mind. Can't wait for the next installment and definitely recommend reading or listening and well worth your credit! 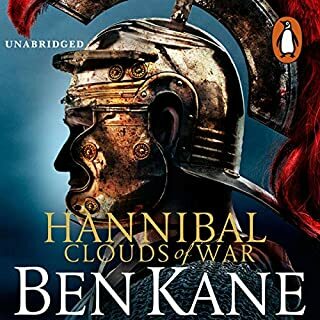 This book covers the period around 200BC following on from the defeat of Hannibal covering the conflict between Macedon, Philip V, Republic of Rome and Greece and what a bloody period that was. It is viewed from both sides, both from the ranks of the army up to the politicians. I love Ben Kane books, and this is no exception. It is also brought vividly to life by the narrator, Steven Pacey, who is a brilliant narrator. This is well worth anyone's credit. 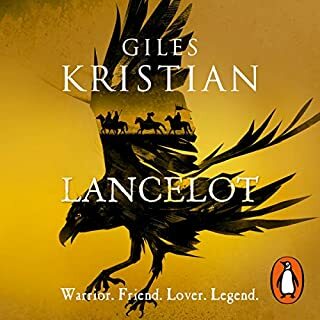 My first Audible book and I thoroughly enjoyed it, can't wait for the second instalment! More top stuff from Ben Kane. Really enjoyed this book. He brings History to life. 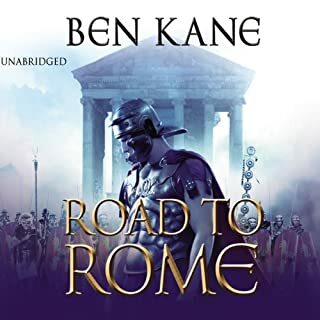 First book I've listened to by Ben Kane and thoroughly enjoyed it. Steven Pacey's narration, as always, is flawless and adds real depth to the story. The excellent narration by Stephen Pacey made this book easy to listen to and become totally enthralled. It’s an insight into a part of history of which l was previously unaware. I look forward to the other parts of this series. 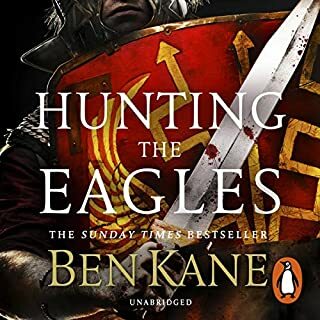 this was a fantastic weaving of stories, history truly brought to life through incredible story telling on the part of Ben Kane and wonderful narration by Steven Pacey.